On 112 acres off Springhill Road in Belgrade, Montana, sits a six-bedroom, 10,000-square-foot home called Quiet Waters Ranch. The ranch belongs to the Warriors and Quiet Waters Foundation, a nonprofit located 10 miles south in Bozeman that teaches combat veterans of Iraq and Afghanistan how to fly fish in the place that’s considered the sport’s mecca. Roughly 10 times each year, a half dozen veterans spend six days in Bozeman learning fly fishing. They arrive on a Monday and are outfitted with the essentials—fly rods, waders, boots, shirts, jackets, and other fishing gear—all of which the warriors can keep. By Friday, the fifth day, participating veterans have spent three solid days fishing Montana’s ponds and streams. And it’s there or in follow-up correspondence where the veterans really open up, Faye Nelson, the organization’s executive director, recalls. 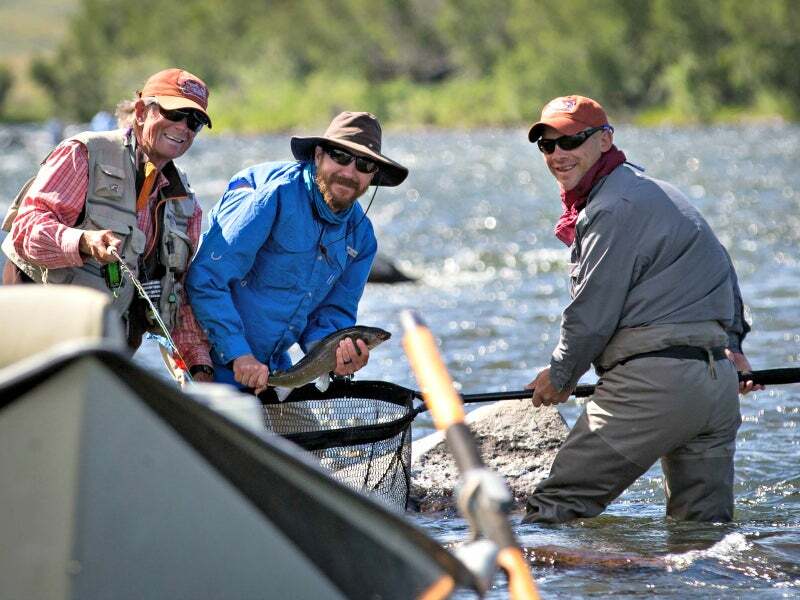 They open up about the impact that six days spent fly fishing in Montana has had on them. It was pretty overwhelming for me to come back from theater on a stretcher badly broken, both physically and mentally. I wondered what was left of the life that I had before I went, but I still remember my drive to answer the call, and I was willing to sacrifice it all because this is what Americans do. What this trip did for me was to restore my faith that great Americans like the people of Bozeman, Montana, are worth defending, even if it means not getting to come home. This awesome community and this great organization didn’t just teach me fly fishing—they gave me the gift of peace. Some warriors, Nelson says, talk about the suicide notes they’ve written, picked up, and ripped to pieces. Others have talked about returning home only to sell the gun they contemplated using every day. “Those are the extremes,” she says. But other combat veterans talk about how they’ve used fly fishing to connect with their children or spouses, or have decided to make it their new family activity, foregoing video games for time out in nature. That rhythm and the actual act of casting can be really helpful to someone who has traumatic brain injury or PTSD [post-traumatic stress disorder] because their mind can wander or get overly anxious at any time. It’s a calming activity. The idea for Warriors and Quiet Waters can be traced back to the merging of ideas from the program’s co-founders: John Baden, founder of the Foundation for Research on Economics and the Environment; Volney Steele, a retired military doctor; and Eric Hastings, a retired Marine Corps colonel. Baden and Steele’s roles began in December 2006, when the two men began a conversation at their gym while both were on treadmills, Baden tells The Daily Signal. Steele told Baden of his idea to design outdoor activities in Montana specifically for veterans who were wounded while serving in Iraq and Afghanistan. Steele wanted to mirror those services after the ones offered by Eagle Mount, a Bozeman-based organization founded in 1982 that offered outdoor activities—skiing, fishing, kayaking, and more—to people with disabilities and children with cancer. The two specifically wanted to help those who returned home from war with psychological or physical injuries, the goal being to use the great outdoors and all that Bozeman has to offer. “We have all the ingredients for success: superb fishing, exceptional air service, an army of top fishers, excellent fishing shops, and a strong tradition of helping others,” Baden wrote that December 10 years ago on the website for his Foundation for Research on Economics and the Environment. That’s where Hastings came in. The retired colonel served in the Vietnam War and recalled, during flight missions, tracing “meandering ribbons that cut through the jungle,” according to the Warriors and Quiet Waters website. Those ribbons reminded Hastings of the trout streams of his home in Montana. When the veteran returned to the state after serving more than three decades in the Marines, he went back to fly fishing. “He realized how special the act of fly fishing was in terms of being able to focus his mind and really find some hope and serenity in both the activity of casting as well as being out in the outdoors around here,” Nelson says. Hastings and his wife had two sons in the military, and they were concerned about the growing number of veterans returning home with both seen and unseen injuries, especially when compared to those returning from past conflicts, she says. So Hastings approached the Naval Medical Center in San Diego and asked to be allowed to take some patients fly fishing. In 2007, Hastings, Steele, Baden, and other volunteers hosted 14 veterans for a fly-fishing trip in Bozeman. During the course of the trip, the veterans were housed in rented vacation homes and given fishing gear, instruction from professional guides, and home-cooked meals. And so Warriors and Quiet Waters—the name conceived from Psalm 23: “He leads me beside quiet waters. He restores my soul.”—was born. In the years after Sept. 11, organizations aimed at helping veterans returning from the wars in Iraq and Afghanistan began sprouting up. Their missions run the gamut, from Team Red, White and Blue, which focuses on connecting veterans to their local communities through physical fitness, to Mission Continues, which focuses on connecting veterans to community service projects. Indeed, Warriors and Quiet Waters isn’t the only organization that aims to help veterans adapt to life at home through participation in outdoor activities. But research suggests that outdoor activities like fly fishing, which Warriors and Quiet Waters focuses on, can improve veterans’ mental health. In 2013, the Sierra Club Military Families and Veterans Initiative and researchers from the University of Michigan conducted a study examining the effects that group- and nature-based recreational programs such as fly fishing, whitewater rafting, and backpacking have on veterans. Participating veterans were surveyed one week before, one week after, and one month after participating in one of 12 different programs lasting four to seven days. None of the programs included structured therapy. According to the study, those surveyed one week after their outdoor experience reported gains in psychological well-being, social functioning, and life outlook. So far, extensive research has looked at outdoor recreation and contact with nature, but little research exists on how those experiences can affect veterans specifically. The research by Duvall and co-author Rachel Kaplan indicates that the gains veterans reported one week after their outdoor experiences were, in part, related to the positive effect the natural environment can have on one’s emotional state. If you think about where veterans are going to be coming from, they’re going to be in situations where other people don’t have the same kinds of experiences as them. The mental models that they have are not shared with other people they’re going to come into contact with. That’s going to leave them feeling a little detached and misunderstood. Being able to get into a group of other veterans, all of a sudden you have a group where they share the same perspective and mental models. In 2016, Warriors and Quiet Waters hosted 10 fishing outings, held April through October. Warriors can participate in one of three “experiences”—a solo fishing, alumni fishing, or couples fishing. Each spans six days, with three full days spent out on the water fly fishing. The alumni fishing experience pairs first-time participants with previous participants, who are encouraged to mentor new attendees. The couples experience is designed for warriors who have participated in solo fishing and return with their spouses. During each outing, Warriors and Quiet Waters hosts six veterans—or six couples—at a time. Participating veterans may be from any branch of the military, but must have seen combat in Operation Iraqi Freedom, Operation Enduring Freedom, or Operation New Dawn. Some arriving warriors have visible injuries, while others may struggle with wounds that can’t be seen by the naked eye. Next year, Warriors and Quiet Waters will celebrate its 10-year anniversary. In nearly a decade, the organization has served more than 336 combat veterans and 89 spouses, many of whom have returned, with the help of nearly 1,000 volunteers. In 2016 alone, the organization served more than 70 combat veterans and 12 spouses or caregivers. 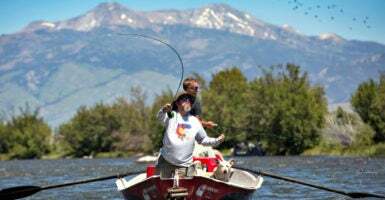 During past fishing experiences, warriors lodged at rented vacation homes in the Bozeman-area. But in May 2015, Warriors and Quiet Waters purchased a $3 million property that ultimately would become Quiet Waters Ranch. Volunteer “moms” make breakfast and dinner from scratch. “We really want them to feel like they’re in a home environment, not a rehabilitation facility or institution,” Nelson says. 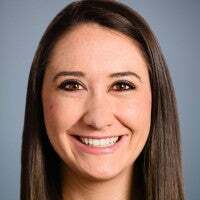 In 2017, Nelson says, she hopes Warriors and Quiet Waters will expand its programming to include professional development and entrepreneurship classes, or offer help with finances or relationship-building. 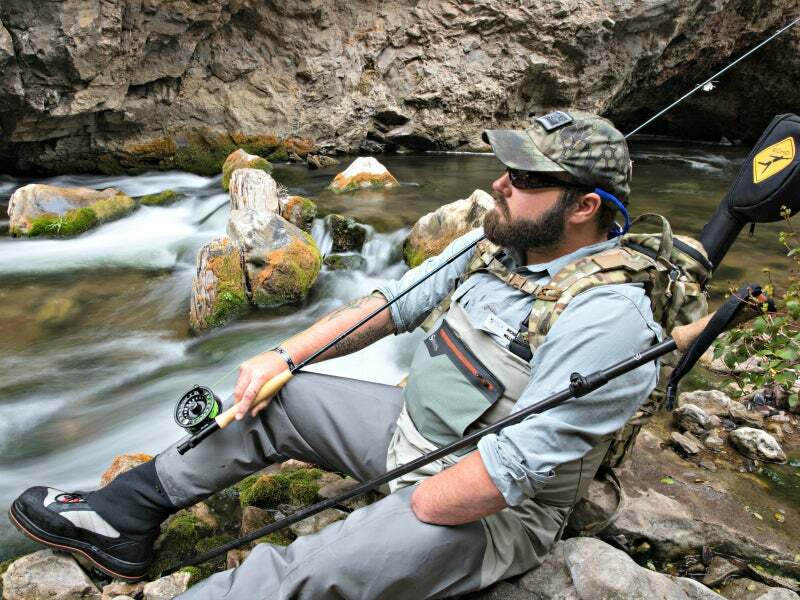 But fly fishing will always be a component of what Warriors and Quiet Waters does.